So here we are, on the day of the 87th Academy Awards, and the Best Picture category is not entirely locked up. Frankly, it’s a great feeling. It seems that it’s come down to the two “B” movies: Birdman and Boyhood. 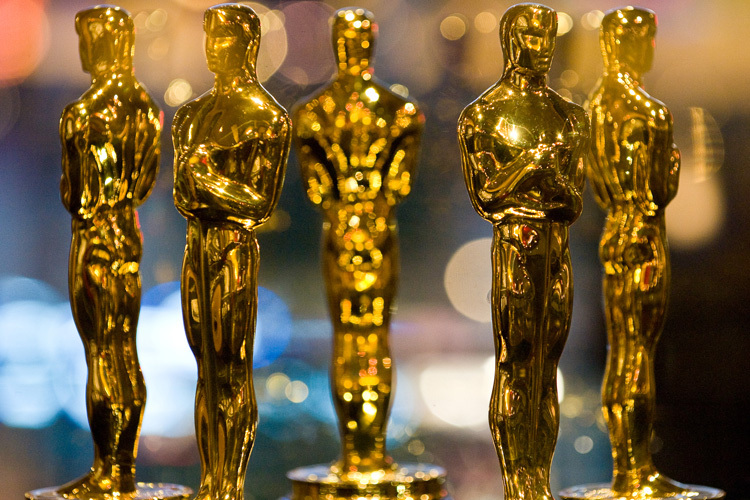 Between the two, my preference would be with Boyhood, but I would truly be happy with either film taking home the award. They’re both audacious and creative original works, both the kinds of movies that filmmakers should strive to make in the future. 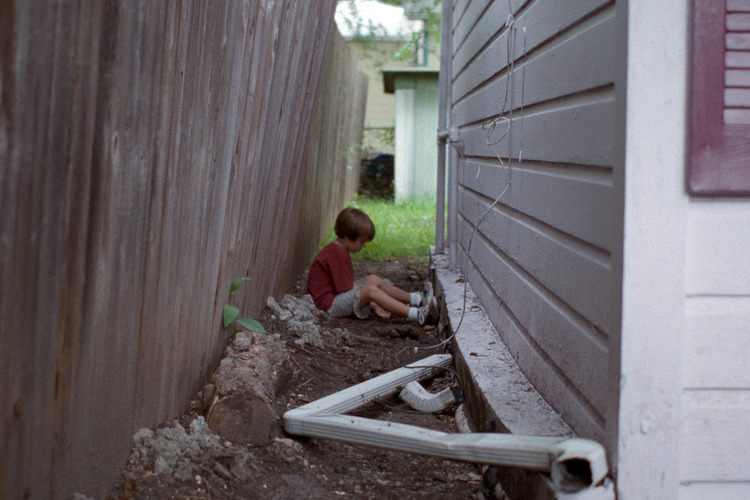 In the end, I do think the Academy will favor the pure spectacle of Boyhood and award it Best Picture. While I’d be happy about either Birdman or Boyhood taking home Best Picture, Best Director simply must go to Linklater. He’s had a sensational career and his 12 year dedication to Boyhood absolutely needs to be recognized this year. The rest of the nominees are worthy, with the exception of Morten Tyldum for his muddled and disorganized biopic The Imitation Game. While Ava DuVernay’s snub has been widely publicized, it’s worth mentioning one more time just how much more qualified she is than Tyldum in this category. Of the major categories, this one is up in the air more than any other. Redmayne’s portrayal of Stephen Hawking is great and likely to earn him the Oscar but I still get the sense that Keaton or Cumberbatch could pull an upset. I feel that Carell and Cooper, who took on daring and transformative roles, might have a better chance most other years but this year’s field of Actor nominees is particularly competitive. Unfortunately, I only had a chance to see two of these five movies (Girl, Theory) , so it’s a difficult category for me to discuss in depth. Still, it seems that Moore is a lock for Still Alice, which still hasn’t opened in any theaters around me. I’m pleasantly surprised to see Pike nominated for such a multifaceted and haunting role, certainly one of my favorites from last year. Jones did a fine job but I wouldn’t exactly call it Best Actress quality work. J.K. Simmons has done good work for years as a character actor but his performance in Whiplash is undeniably electric and there’s little doubt that he’ll take home the trophy. If it weren’t for Simmons, I would love to see Norton win for his memorably haughty performance as Mike Shiner in Birdman. Ruffalo is a nice addition but the nominations for Duvall and Hawke feel somewhat arbitrary. This one seems to be Arquette’s to lose, although Stone has a long shot for her terrific work in Birdman. She may not win this year but if she continues to choose roles this good, I imagine she’ll have an Oscar still in her future. This is Streep’s 19th nomination, so at this point, it’s safe to say that she can expect to be nominated any year that she chooses to be in a film. It’s fair to say that Paul Thomas Anderson (Boogie Nights, There Will Be Blood, The Master) has one of the most stellar track records of any director working today but with the number of superb films under his belt, it feels slightly disheartening when he releases a film that is merely good instead of great. That’s the feeling that I was left with during the conclusion of Inherent Vice, his brazenly bizarre adaptation of the 2009 novel by Thomas Pynchon. While it seems to be the most studiously faithful adaptation that Anderson has done so far, it has a peculiar energy and enough spontaneous moments to allow it to stand on its own as a creative work. The full story is intentionally indecipherable, so detailing it feels like a bit of a fool’s errand. We open in 1970 on the fictional Gordita Beach, when hippie private investigator Doc Sportello, played by Joaquin Phoenix, is visited by his ex-flame Shasta Fey, played by Katherine Waterston. She clues him in on a plot to kidnap her current lover, the wealthy real estate mogul Mickey Wolfman, played by Eric Roberts. Doc’s ensuing investigation spawns a host of idiosyncratic characters who guide us through a plot that almost feels like it’s being made up as it goes along. There’s no doubt that this willful lack of narrative clarity will frustrate viewers and there were times when I felt out of step as well. More often than not, characters come and go with little introduction and talk about places or people that haven’t been established yet. After a certain amount of time, I generally stopped trying to follow the plot and just enjoyed each scene individually for what it was. Clearly, Anderson is going for more of a vibe than a precisely told story and as a hazy, rose-colored evocation of an era, it rarely misses a beat. The tone that he creates throughout is a peculiar amalgam of broad slapstick comedy and post-noir mystery, with a touch of nostalgic romance thrown in for good measure. There’s also an unmistakable feeling of paranoia present in the film, most likely an attempt to bring the main character’s drugged-out perspective to the forefront. The stirring score by Jonny Greenwood and the washed out look of Robert Elswit’s cinematography both contribute heavily to Inherent Vice‘s unique sense of style of vision. It also helps that Anderson has put together a terrific ensemble cast, which also includes Reese Witherspoon, Owen Wilson and a hilariously deadpan Josh Brolin. Amongst all the performances, Phoenix’s is still the standout to me: he brings all the intensity that he normally would for a dramatic role and instead translates it into an energy of endearing goofiness. There’s no doubt that Inherent Vice is a one-of-a-kind trip but I can’t help but feeling that Paul Thomas Anderson is much better suited to direct an original story as opposed to an adaptation, especially one as challenging and singular as this. 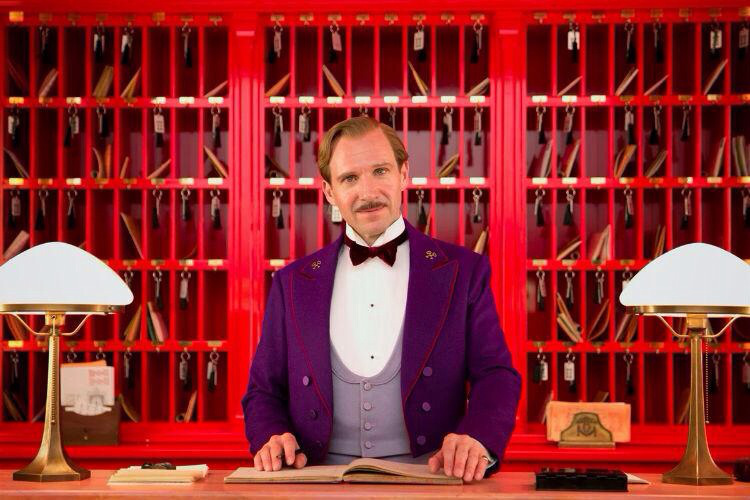 Wes Anderson is at it again with yet another highly stylized and highly entertaining piece of filmmaking. While his previous film Moonrise Kingdom was more intimate and smaller in scale, Hotel finds Anderson at his most grandiose, leading a stellar cast throughout various time periods (cleverly represented in aspect ratio changes) and set pieces that feel more intricate as the film progresses. This is a fun, old-fashioned caper with a brisk pace and a smart balance of whimsy and melancholy. If I’m being honest, most horror movies just don’t scare me and I feel I have to give ample credit to those that do. 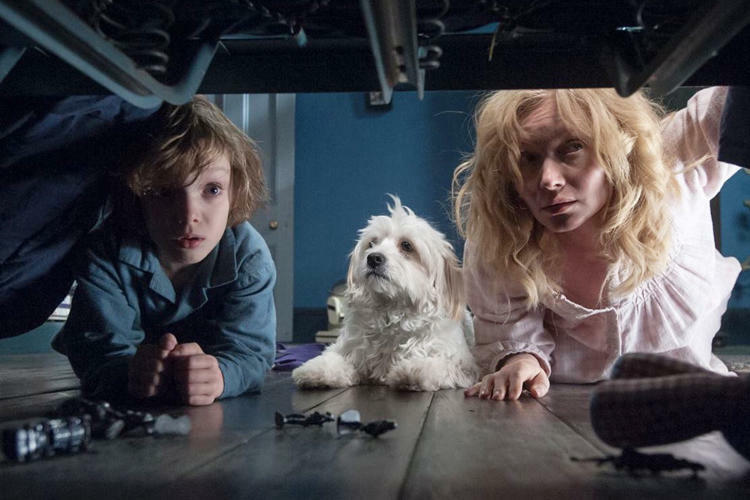 The Babadook was a genuinely frightening experience for me, which I attribute most to my level of engagement in the story and the level of investment that I felt with the characters. Instead of going for jump scares and cheap thrills, director Jennifer Kent instead builds up an uncommon amount of dread and creepiness that kept me glued to my seat. A bit of a bias here: I do love The National, the band that is the focus of this rock-doc, but I think even people who has never heard their music will still find plenty to enjoy. 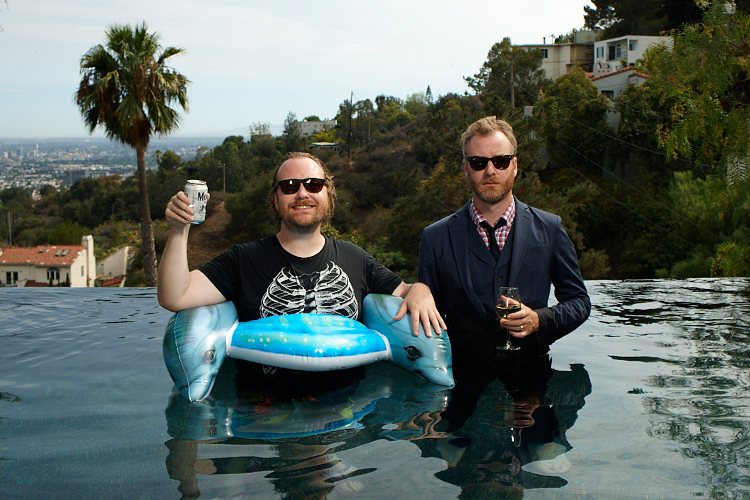 It serves as a video diary for the band’s 2010 world tour but also functions as a relationship study between lead singer Matt and his brother Tom, who directs the film during his time as a roadie for the band. Strangers is packed with an awkward brand of humor that’s right up my alley but it also delivered a heartfelt ending that I found to be surprisingly moving. I doubt there was a bigger surprise this year than The Lego Movie: what good things could we really expect from another film based on a toy franchise? 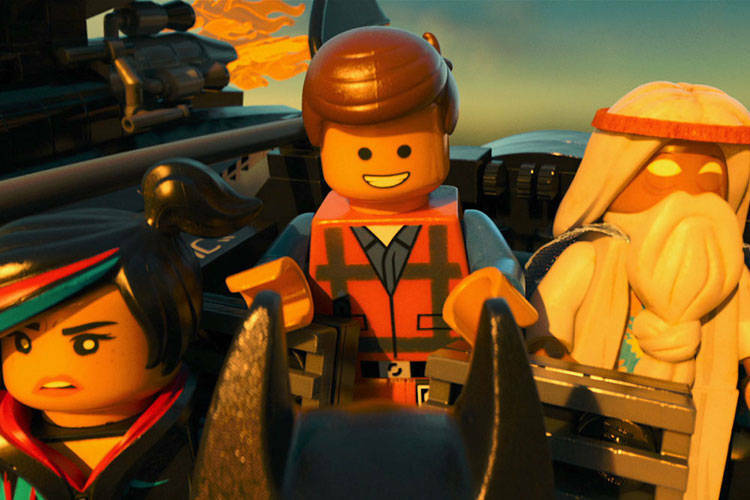 What surprised me most is how co-directors and screenwriters Phil Lord and Christopher Miller were able to take the themes of creativity/practicality and individuality/conformity that are inherent in Lego building and translate them to a story that’s this funny and this insightful. The visual style here is also exceptional, which employs unique computer animation techniques to give it the feel of a stop-motion animated movie. 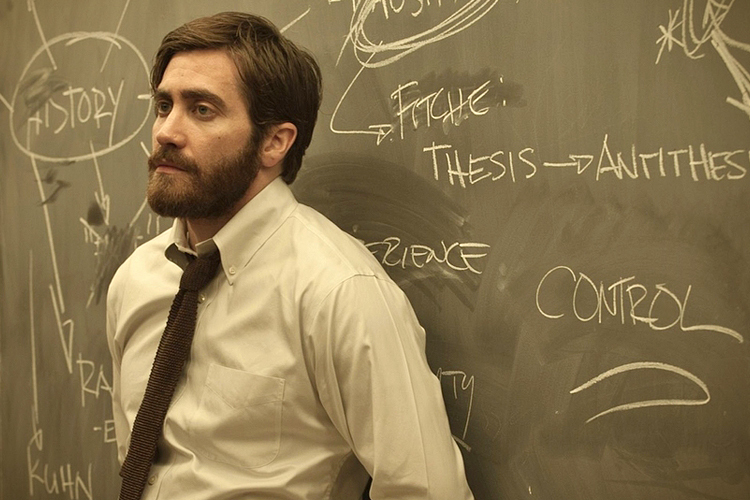 Jake Gyllenhaal starred in two great films last year and while Nightcrawler may feature a more memorable performance, Enemy has stuck with me more with each repeated viewing. It’s an engrossing and often times bizarre mystery tale that actually deserves the David Lynch comparisons that are applied too often to other films in its genre. Rather than giving tangible clues or contrived resolutions, director Denis Villeneuve instead guides us through a psychologically satisfying portrait of a man at odds with himself. 2014 saw the completion of Richard Linklater’s 12-year production that may just be one of the daring experiments ever attempted in American cinema. Given its background, Boyhood was destined to achieve notoriety since its inception but the biggest surprise is how small the movie feels in comparison to the scope of its narrative. By focusing on the seemingly insignificant moments of life, Linklater creates an organic and wholly unique portrait of American life that is effortlessly engaging and memorable. David Fincher’s ruthless and faithful screen adaptation of Gillian Flynn’s bestselling novel was the cinematic equivalent of a car crash that you just can’t ignore. Fincher dug deep into the well of depravity to bring forth this cold and calculated masterpiece, which also doubles as the most awkward date movie of the year. Rosamund Pike gives one of the year’s very best performances in a turn of jaw-dropping audacity, intensity and nuance, while Ben Affleck proves that he’s capable of a delivering a memorable performance when the material is just right. 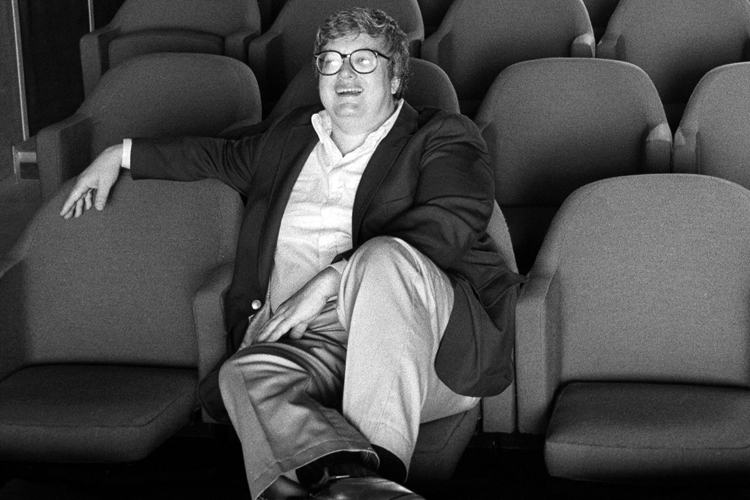 The Roger Ebert memoir Life Itself is a tribute to one of the most iconic and prolific American film critics of all time. If it isn’t obvious by now, Ebert is a huge inspiration to me personally (the name of this blog is a reference to one of the many books that he wrote) and it was a joy to see his life commemorated so purely on screen. Whether you’re completely unfamiliar with his work or a big fan like I am, this documentary is well worth your time. 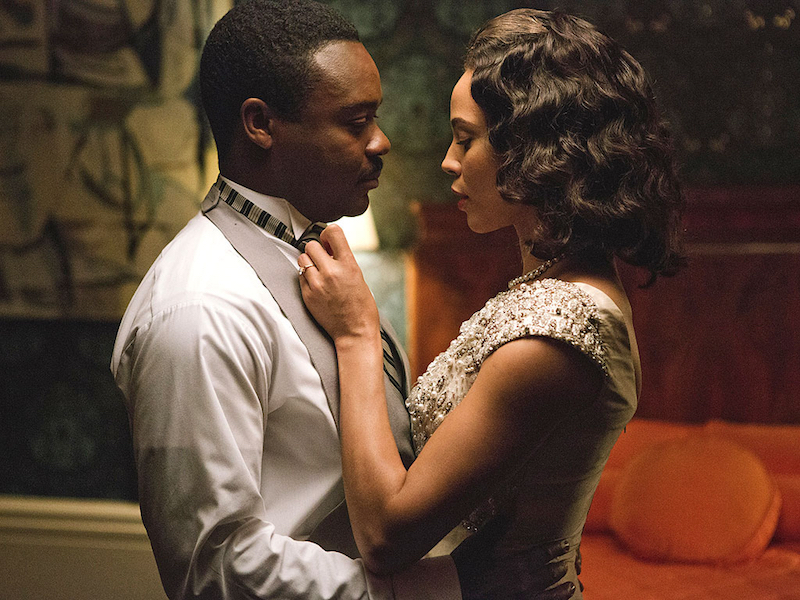 While many of last year’s biopics came across as timid or short-sighted, Selma stood tall. This is a masterful work of focus and confidence from director Ava DuVernay about the Selma to Montgomery marches during the 1960s. What surprised me most about this film is how even-handed the narrative is throughout, especially during scenes of protest and violence. 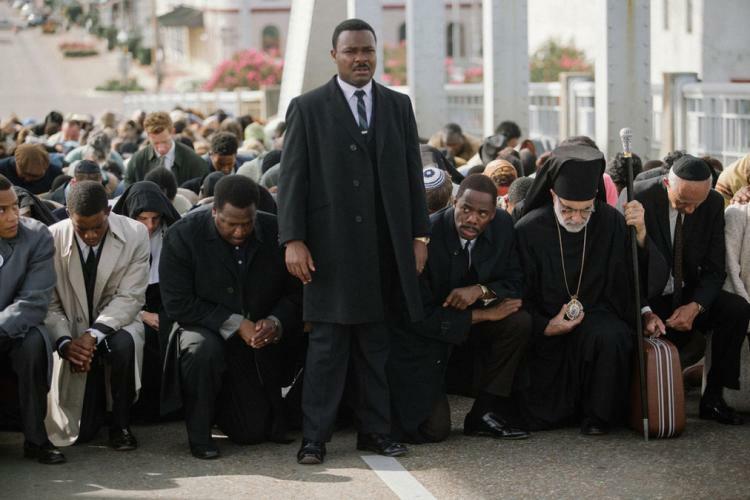 Even more refreshing is the passionate performance by David Oyelowo, which truly captures the essence of Martin Luther King, Jr. without veering into a glorified impression of him. The most electrifying film of the year takes all of the student-teacher cliches that you may expect and gleefully throws them out the window. 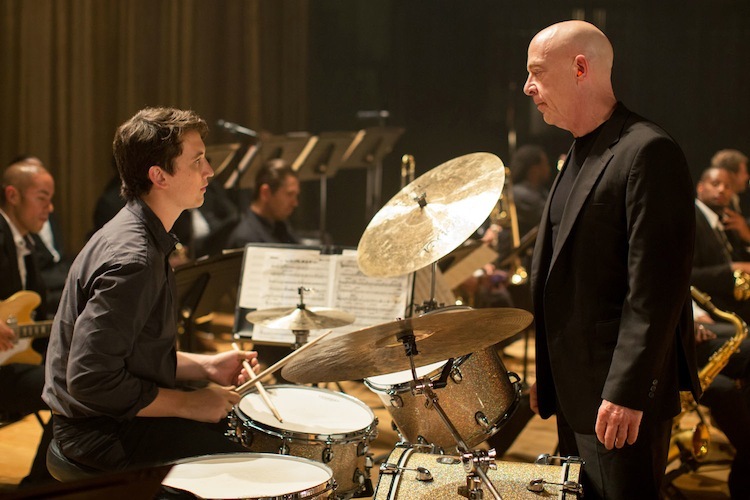 Featuring two spellbinding performances by Miles Teller and J.K. Simmons, Whiplash is the most feverishly intense movie about music performance that I’ve ever seen. Like a drummer gradually speeding up a snare roll (as heard during the film’s title sequence), it builds with an uncompromising level of power and precision to a finale that left me shaken and speechless. Led by a trio of meticulously crafted performances, Foxcatcher is an oppressively bleak and occasionally brilliant wrestling tale that’s based on the true story of Olympic gold medalists Dave and Mark Schultz. Without saying too much, its fair to say that the film’s ending is shocking and I would suggest that those unfamiliar with the real life events should avoid reading up on them before watching the movie. The strange and seemingly impenetrable story is director Bennett Miller’s third attempt at translating real accounts into cinema and while it may not have quite as much insight as it would like, it does tackle themes of wealth and ambition with a piercing and unrelenting focus. We meet Mark, played by Channing Tatum, after he wins a gold medal in the 1984 Olympics with his brother Dave, played by Mark Ruffalo. He is eating alone in his apartment when he gets a call from multimillionaire John du Pont, played by Steve Carell, who wants to help train him to win the Wresting World Championships and win the gold medal again at the 1988 Olympics. Mark, and eventually Dave, accept duPont’s offer to train privately on Team Foxcatcher and the film examines the would-be familial relationship between the three men. Tatum gives his finest performance here as the younger brother Mark, who looks up to his big brother Dave but also harbors feelings of inadequacy and resentment towards him. His withdrawn and moody nature is implied to be the result of living in Dave’s shadow but Tatum does a great job of finding notes of compassion and empathy under Mark’s hulking exterior. The bond between Dave and Mark is arguably the most perceptive aspect of Foxcatcher, in particular an early sparring scene between the brothers that showcases depths of their disparate personalities. As du Pont, Carrell is almost entirely of a different element. Strapped with facial prosthetics and a distracting amount of makeup, he abandons his comedic chops and brings forth a creepy and compelling portrayal of a man who has almost entirely lost his way in life. As an only child, du Pont comes off as desperately lonely and continues to seek the attention of his disapproving mother. He finds temporary solace in becoming a father-like figure to Mark but it doesn’t take much time for their tenuous connection to fester, especially when Dave comes back into the picture. Unfortunately, the downward spiral that Foxcatcher depicts in its third act is arguably the weakest portion of the movie. It would seem that Miller has a psychologically sound explanation for the tragic incident that occurs, given that it’s such a predominant factor in the story that he’s telling, but it seems that he is just as dumbfounded by it as we are. 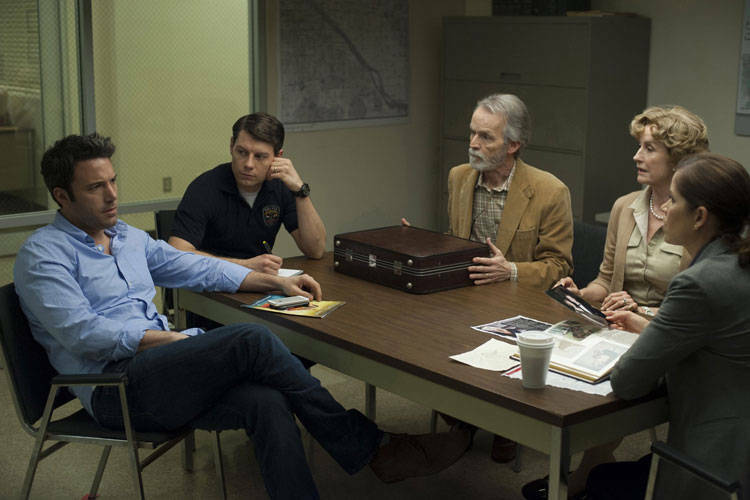 On that basis, it doesn’t work for me as a true crime story but as a study of three broken men attempting to find meaning within one another, I found it engrossing and eerily effective. Based on the autobiography of former Navy SEAL Chris Kyle, American Sniper is a confident and convincing account of the most lethal sniper in American military history. Taken just as a war movie, it certainly has its issues but as biopics go, it has much more personality and perspective than other films in the genre that I’ve seen this season. The film is also aided greatly by a superb, understated performance by Bradley Cooper, who was just recently nominated for the Oscar for Best Actor. We follow Kyle in flashbacks through his life, starting out with his first hunting trip and his father’s early implementation of a strict code of right and wrong. After seeing footage of a terrorist attack on television, he feels compelled to enlist as a Navy SEAL and protect the country that he loves more than anything. After meeting and eventually marrying his wife Taya, played by Sienna Miller, the two struggle to keep their family together during Kyle’s four voluntary tours of duty in Iraq. While these home-front scenes are crucial to the film’s story, the majority of the movie depicts Kyle’s time in Iraq as a successful rooftop sniper. The most effective combat scene appears at the film’s opening, which retells Kyle’s first sniper kill in Iraq. It starts quietly on a rooftop, with Kyle following a US convoy through his scope when as woman and her child appear from a seemingly abandoned building. When the woman hands off an explosive to her son, it’s made clear that the decision for Kyle to intervene is one that’s left up almost entirely to him. It’s a gripping opening sequence and director Clint Eastwood is able to present this moral dilemma with a masterful amount of dramatic tension and visual finesse. Unfortunately, the subsequent depictions of the war in Iraq are generic and one-dimensional, especially in comparison to this scene. The main storyline in Iraq, which pits Kyle against a rival Syrian sniper who is set up like the Lex Luthor to Kyle’s Superman, is very hokey and diminishes any sense of realism that the film attempts to establish. Fortunately, the scenes at home with Cooper and Miller are handled with much more tact and tenderness and the two are able to build up a very palpable chemistry throughout the movie. Cooper has excelled most recently in extroverted roles that make use of his motormouth persona but here, he is able to focus that energy inward while still maintaining a steady balance of humble virtue and self-deprecating charm. 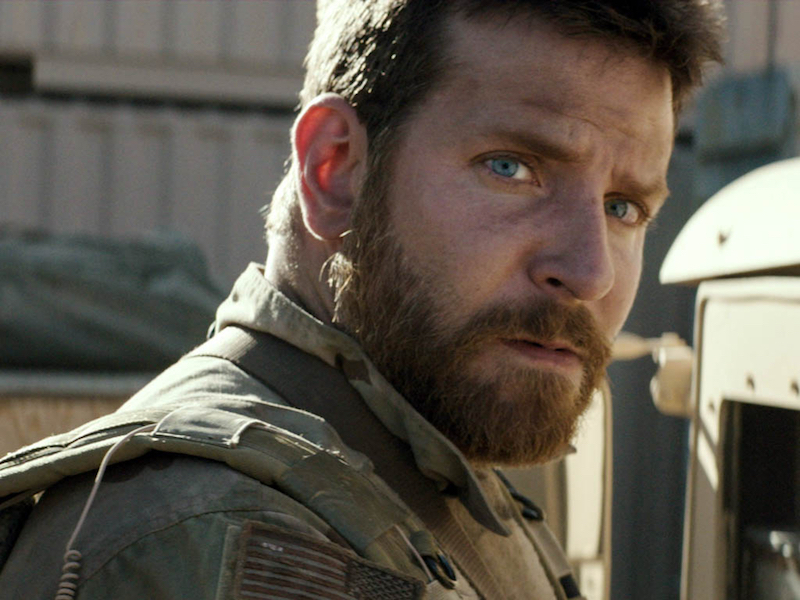 American Sniper will no doubt be compared to other contemporary war films like the masterpiece The Hurt Locker, which took home the Oscar for Best Picture in 2009. While Sniper is admittedly not of that caliber, it’s a bold piece of filmmaking that adds a new perspective on the psychological effects of prolonged warfare. 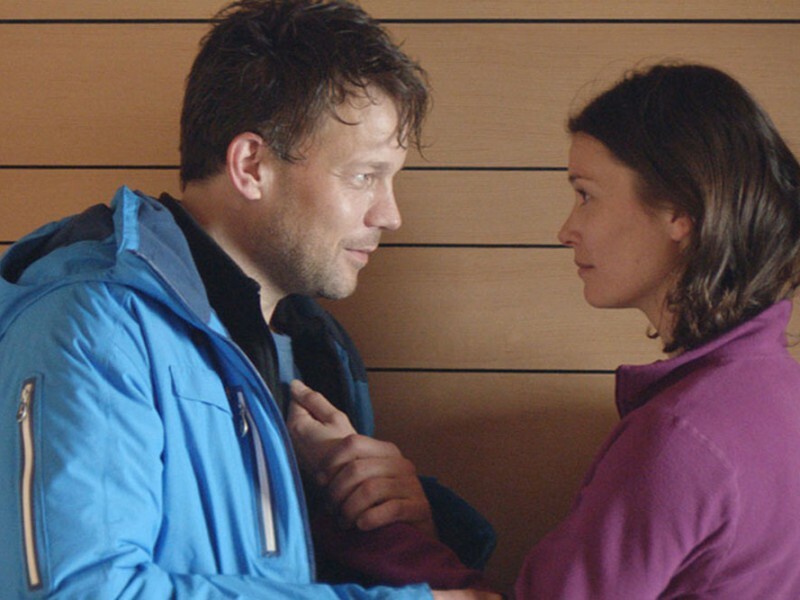 The new Swedish film Force Majeure is an unexpected powerhouse, deftly blending moments of engaging introspection with surprising bits of dark humor to create a thrillingly original tale of marriage and mistrust. The film’s devilishly clever title, literally “superior force”, is a clause commonly found in contracts that refers to a freak, unavoidable accident that exonerates both parties from fulfilling an agreement. Indeed, the main characters are met with an chaotic and unforeseen incident but it’s the chilly aftermath of that event that is the true focus of the film’s narrative. We are introduced to Tomas (Johannes Kuhnke) and Ebba (Lisa Loven Kongsli) as they find themselves in the French Alps for a week-long skiing trip with their two children. While eating lunch on the hotel balcony one afternoon, a controlled avalanche creeps dangerously close to the restaurant and the patrons initial reaction of wonderment devolves quickly into mass hysteria. A panicked Tomas makes an instinctual dash of self-preservation, which leaves an incredulous Ebba to protect the children on her own. While the physical threat of the avalanche is later revealed to be a false alarm, a metaphorical avalanche of doubt and misconception begins to slowly threaten the relationship between Tomas and Ebba. “Slowly” is the key word here, as director Ruben Östlund displays tremendous patience in generating scenarios during which the two characters can suss out what happened on the balcony that day. I was struck by how intently the camera focuses on the faces of the actors as they subtly confront one another about their reactions to the seemingly life-threatening event. Instead of just having Tomas and Ebba talk with just each other the entire film, he not only includes other pairs of couples during theses conversations but chooses to linger on their awkward and uncomfortable facial expressions to break the tension. The two leads are fantastic here, as Kuhnke constructs a naturalistic portrait of crumbling masculinity and Kongsli conveys notes of mounting insecurity with considerable nuance. Kristofer Hivju, of Game of Thrones fame, also turns in a very funny performance as a sort of devil’s advocate who defends the virtue of Tomas’ intentions but does well to point out to Ebba that he would have personally reacted with more courage if he had been placed in the same situation. I should also say that child actors don’t very often get much credit but children in this film (real life brother and sister Clara and Vincent Wettergren) do a convincing job with some tricky material. While the film builds nicely to a cathartic climax, it does stumble to find its footing afterwards. There are about 2 or 3 different moments that felt like sufficient stopping points but instead, the actual ending comes abruptly with a puzzling last exchange of dialogue. Nevertheless, Force Majeure is a thoughtful and bizarrely funny look at the failure of the male ego and the slow climb of redemption up the mountain of patriarchal expectations. The Imitation Game is the second biopic this season that attempts to portray a well known genius but like The Theory of Everything, Game somehow loses its way and seems to have trouble conveying what was so remarkable about its subject. As the marketing cleverly suggests, Alan Turing was indeed an enigma but director Morten Tyldum does little to shed any new light on his personal or professional affairs. 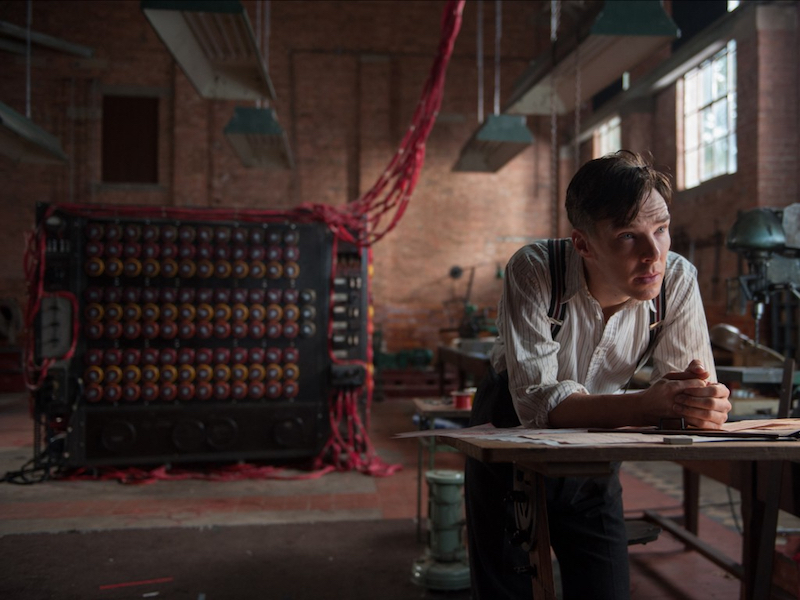 It’s a very straightforward, easily digestable film and while it has an worthwhile story to tell, I can’t help but feel disappointed that it didn’t probe deeper into Turing’s mind. Benedict Cumberbatch plays the legendary mathmetician with the same brand of affable arrogance that he’s perfected in the BBC series Sherlock. The film follows Turing during important stretches of his life but focuses primarily on his time as an MI6-recruited cryptanalyst during the Second World War. He leads a crack team of coding experts, including Joan Clarke (Keira Knightly) and Hugh Alexander (Matthew Goode), to eventually break the daunting Nazi Enigma code and provide the Allied Forces with a tactical advantage that would eventually lead to their early victory in the War. The wartime code breaking section of the movie is its most compelling, distilling the team’s years of struggle with the nigh indecipherable cryptograph into moments of crushing defeat and inspiring triumph. The film’s most poignant scene comes after the code is broken, in which the group’s knowledge of an impending Nazi attack must be kept confidential in order to keep the secrecy of their solution in tact. The scene delves further into the tragic irony of this realization, as one of the coders recognizes one of the Nazi’s targets as the boat on which his brother is serving. It’s a heartbreaking moment and a memorable emotional climax for the film. Sadly, the portions of the story that involve Turing’s troubled times as a boarding school student and his personal post-War struggles that led to his eventual suicide are not nearly as affecting. The push-pull nature of the flashbacks and flash forwards is distracting and simply not worth it, given that there’s more than enough to dissect in the main mission storyline alone. Especially contrived is the repetition of a line about exceeding expectations that made me roll my eyes all three times that it was uttered. The movie is also awkwardly framed within an interrogation scene that never leads to anything that would justify its inclusion in the first place. Despite these directorial flaws, The Imitation Game finds its most indespensible asset in Cumberbatch, who has a knack for unveiling layers of repressed emotion in his portrayals of brilliant men. Knightly also turns in a confident performance as a longtime partner of Turning’s, who wasn’t shy about going toe-to-toe with him on an intellectual and personal basis throughout his life. Unfortunately, the good work by the actors here is hindered by a lack of chronological cohesion and an overall shallow approach to a complicated historical figure. The new Stephen Hawking biopic The Theory of Everything is a wonderfully frustrating film that sports a truly spellbinding lead performance by Eddie Redmayne but is lacking in just about every other category. Almost all of its scenes feel like they were designed to provide just enough conflict to advance the story but not enough to challenge the viewer in any way. Perhaps some will be taken with its pleasant and vapid retelling of Hawking’s first marriage but on the whole, I was somehow offended by the inoffensive tone of the entire movie. 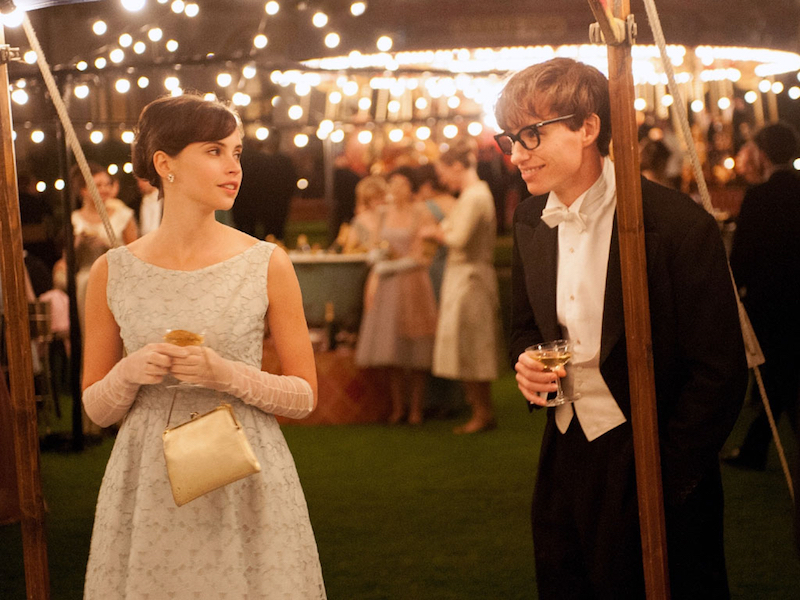 We start at Cambridge University in 1963, where the young Hawking meets and subsequently courts a charming literature student named Jane Wilde, played by Felicity Jones. After an innocuous fall in the park, he is diagnosed with motor neuron disease and informed by his campus physician that he has 2 years to live. Despite this revelation, Jane vows to remain by his side as he pursues a burgeoning career in theoretical physics. While their marriage is constantly tested by his worsening condtion, they find solace in a third-party father figure named Jonathan Jones, who is played by Charlie Cox. Redmayne’s portrayal of Stephen Hawking is nothing short of astonishing and frankly, it may be one of the only compelling reasons to see the film in the first place. He’s able to capture Hawking’s gradual deterioration with an incredible range of facial and physical expressiveness but most importantly, he’s able to convey the spirit of a fiery genius without uttering a single word. Even when he’s wheelchair bound and nearly unintelligible, there’s a devilish wit working tirelessly beneath the surface that Redmayne is able to communicate to the audience on a seemingly telepathic level. Despite this tremendous performance and Hawking’s remarkable life achievements, the film decides to focus instead on Jane’s struggle as a wife and mother of three children. This perspective could have proven interesting had the execution not been so toothless but more often than not, we’re left with melodramatic scenes that don’t resonate or build to anything meaningful. While the direction by James Marsh is frequently aimless, it deserves to be said that Anthony McCarten’s screenplay is not as overly sentimental as it could have been and light touches of humor are applied gracefully throughout the movie. Marsh previously crafted the gripping and inventive documentary Man On Wire and it’s a shame to see a talented director create something as stripped down and apprehensive as The Theory of Everything is. Only in its third act when Hawking’s ability to communicate is revitalized do we see glimmers of a more thoughtful movie. I wish to believe that Marsh had a much more clever vision in mind for this story that was suppressed by the film’s producers in order to streamline it for Oscar contention. Redmayne will no doubt get the attention he so rightly deserves but beyond that, the film is a black hole of biopic aspirations. It’s almost impossible for a film to live up to the amount of hype that The Interview had prior to its troubled release. Threats from the North Korean government and the “Guardians of Peace” Sony Pictures hack thrust the comedy into a political spotlight for weeks as the film’s release status hung in limbo amid national conversations about artistic censorship. Despite all this, the movie has been released in limited theaters and On Demand and while it certainly doesn’t live up to the lofty political ambitions that have been placed on it, The Interview has enough goofy exchanges and memorable one-liners to merit it a modest success. Rogen plays Aaron Rappaport, long time collaborator and close friend of entertainment talk show host Dave Skylark, played with idiotic glee by James Franco. After their 1000th episode together, they get word that North Korean dictator Kim Jong Un, played by Randall Park, is a big fan of their show and he invites them to his headquarters in Pyongyang to get the world’s most exclusive interview. Upon hearing the news, Aaron and Dave are intercepted by the CIA with the hopes that the two can carry out an assassination attempt on one of the world’s most ruthless leaders. This setup should give the sense that The Interview has its heart set on being more of a silly spy farce rather than some piece of sharp political satire. There are some shots taken at the propaganda that Kim Jong Un directs at his people but the majority of the comedy is more broad, focusing largely on bodily function punchlines and the type of ridiculous, over-the-top violence that also took hold of the climax of the Rogen-Franco led Pineapple Express. Also present from that film is the comedic chemistry between the two leads, which is more palpable here than ever before. Of the two performances, Franco is the clear standout. His Dave Skylark is a character who steadily wears you down with his dopey affability until just about everything that comes out of his mouth is hilarious. The best scenes in the movie showcase Dave and Kim Jong Un’s blossoming bromance ,which includes shooting hoops with margaritas in hand and listening shamelessly to Katy Perry. There’s a manic charisma in Franco’s performance that reminded me of other comedic actors like Mike Myers or Jim Carrey, who also work hard to get the audience on their side. He has a comedic magnetism here that is so effective, it’s almost a let down when he isn’t present on screen. Indeed, the scenes that feature Rogen without Franco often flounder without their chemistry, including a romantic subplot with Kim Jong Un’s assistant that simply goes nowhere. Rogen’s comedic talent as an actor is squandered here but he proves himself again as a competent director alongside Evan Goldberg, with whom he also co-directed last year’s This Is The End. 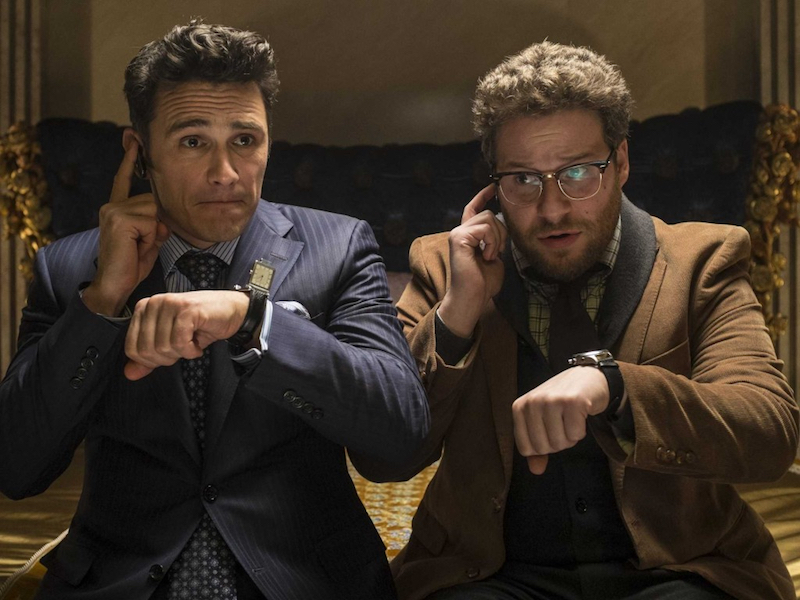 The Interview may not have the satirical bite that curious audiences may come to expect but has enough lowbrow laughs to make it worth their while anyway.